Define/ have been appointed to carry out the refurbish an existing 1970's house by adding extensions to the front and rear of the property. The design intends to create 2no. contrasting extensions to the existing property, which careful connect into the existing property. A rich palette of materials will be used to differentiate new from old, providing a contemporary feel to the design. 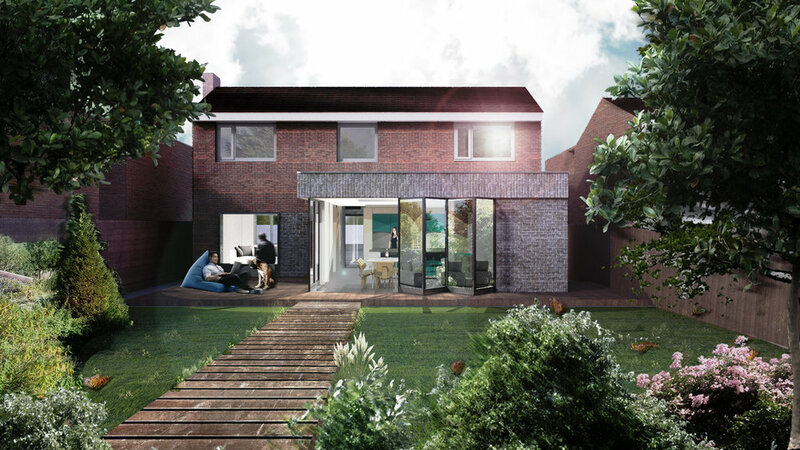 The rear extension aims to provide much needed additional space and unlock the existing ground floor and reconnect the property to the garden and meadow behind. An additional bedroom and en-suite will be created through the first floor extension above the existing garage. The re-configuraiton also looks to redesign the circulation space of the house to create a more inviting entrance. The celebration of light and space are key drivers behind the design.